Last week, ENGINEERING.com listed our top 10 YouTube channel choices. It seems not all of you agreed with our picks. 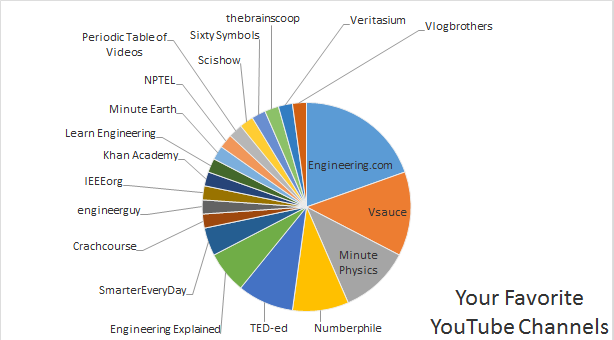 Thanks to a massive polling bias, your ranking of the ENGINEERING.com Youtube channel scored much better than on our list. That said, we were happy to see that the top three channels selected by you were ranked as top picks by us as well. Seems we all like VSauce, and Minute Physics. There is great stuff on all of these channels. When you’ve got a moment, check them out.